Ready to freshen your kitchen for spring? I’m sharing 5 easy ways to breathe new life into this hard-working space. Well, hello there! Are you enjoying the spring weather as much as I am? It’s definitely given me a renewed energy and has also inspired a few small changes around our home. Have you started any spring cleaning or decorating? 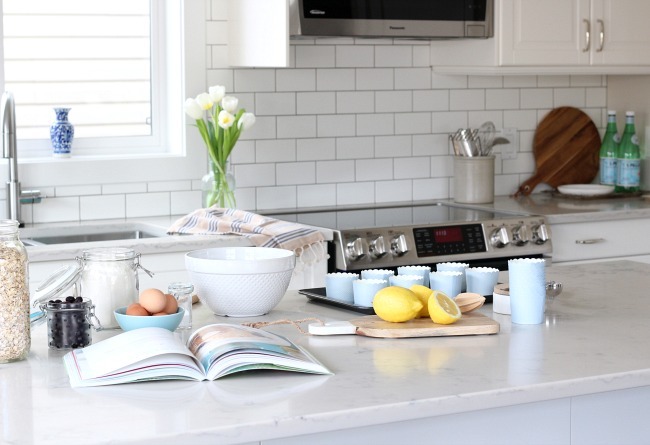 Today, I thought I’d share 5 easy ways to freshen your kitchen for spring. If it’s similar to ours, it’s probably the hardest working room in your house. After a long winter, it’s time to give it the attention it deserves. Living Decor was kindly provided for review purposes. As always, opinions in this post are my own. Affiliate links are included for the book and other items in this post for your shopping convenience. Check out my blog policies here for more information. As with any room seasonally, start with some simple decluttering and cleaning. 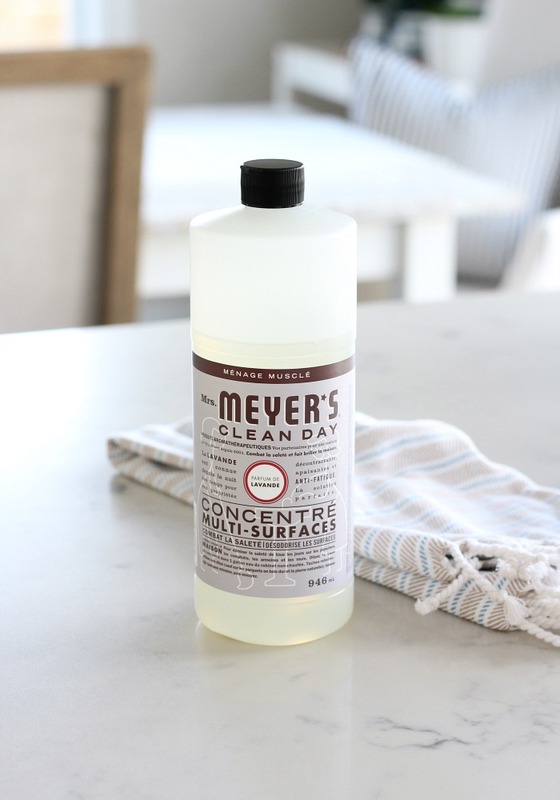 Remove everything from your countertops, then give them a good wipe down with a naturally-derived cleaner (choose one that’s safe for your particular type) or a simple mixture of baking soda and water. Only put back the essentials and a few “pretty” items. Be sure they’re clean too. Even if this is the only step you get around to, your kitchen will feel so much better! Nothing says spring like plants and flowers. They just make me happy! Longer days means certain plants will thrive much better in your kitchen. Some of my favourites are ferns, succulents and herbs. Consider adding faux if natural sunlight is an issue, or do a mix. Do some homework to discover the best options, and don’t forget to use pretty pots too. 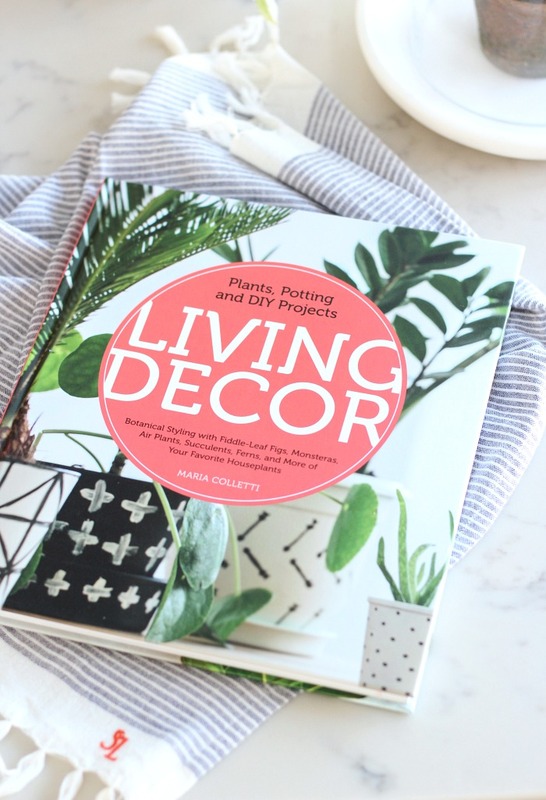 If you’re looking for houseplant ideas, I suggest picking up a copy of Living Decor by Maria Colletti. 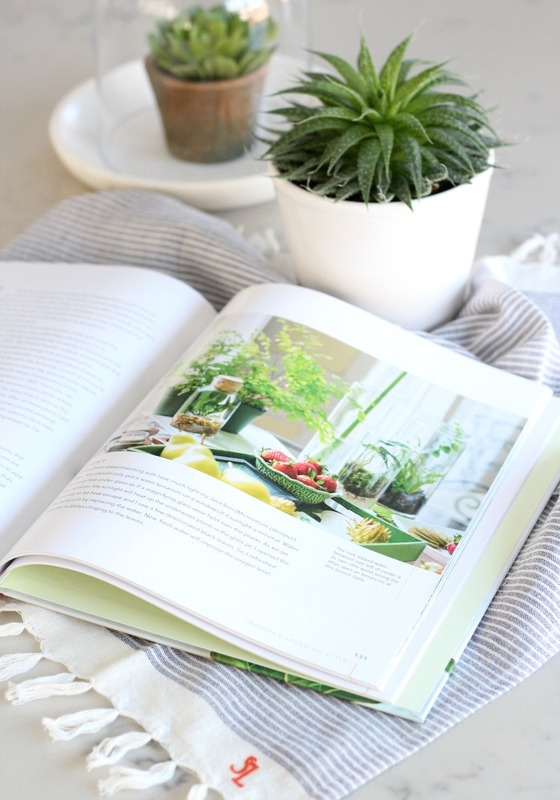 Such a beautiful book with so many lovely projects using botanicals! Kitchen linens work hard and are often overlooked when it comes to changing them up. I like to pick up a few tea towels each season to replace those with stains and/or holes. Plus, they add a bit of colour and fun to a neutral space. Look for linen or cotton-linen blends. If your kitchen is white or neutral like ours, the smallest addition of colour will go a long way in making it feel fresh. And, even if you don’t want to commit to colour per se, a bowl of lemons or limes will do the trick. Other options are canisters, bowls, a new rug or even some artwork. 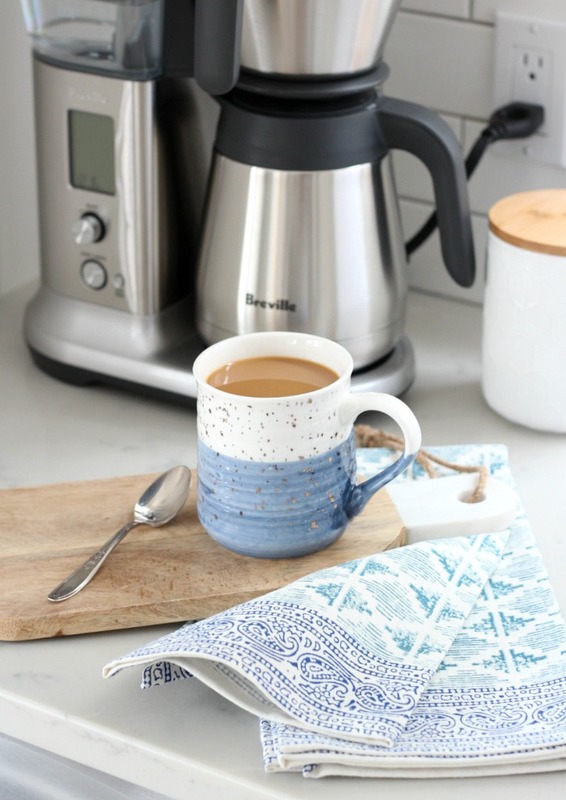 Consider a trip to the thrift store to pick up a few items to decorate your kitchen for less. Are you still burning or diffusing winter-scented candles or aromatherapy blends? Time to replace them with fresh and energizing scents like citrus, mint or soft florals. Be sure to look for non-toxic options if you’re going the candle route and 100% natural oils for your diffuser. Ahhh… Feels so much better, doesn’t it? Simple changes that make a world of difference!